Greg attended Eastern New Mexico University on a tennis scholarship and then transferred to Colorado State University in Ft. Collins, Colorado, where he played on their varsity tennis team. He graduated from CSU with a Bachelor of Science. After graduation he joined Indy racecar driver Jim Guthrie as the team manager for Jim's Indy Racing League racing team. He moved to "Indy" to coordinate the activities from the heart of the racing industry. As team manager he oversaw all phases of race operations, and served as Jim's spotter at the Indy 500. 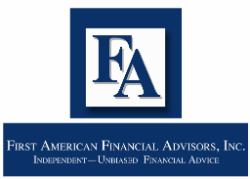 Greg returned to Albuquerque in 1998, where he joined his father at First American Financial Advisors, Inc. He specializes in corporate retirement plans, focusing on investment selection, investment monitoring, employee education and fiduciary issues.